Limited Time Offer: 40% Off! 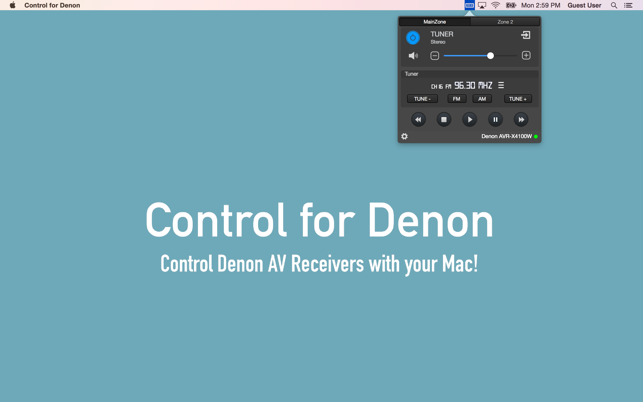 Control Denon AV Receivers with your Mac! 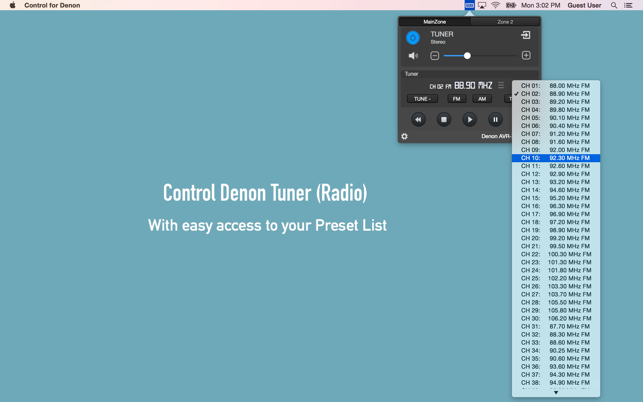 With Control for Denon Mac app you can remote control any of your network ready Denon '11/'12/'13/X Series and new 2014 A/V receiver. 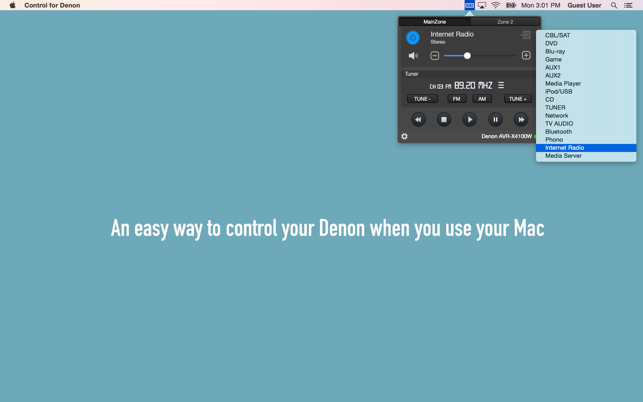 To control your Denon you have to be connected on the same local network with the Denon device. 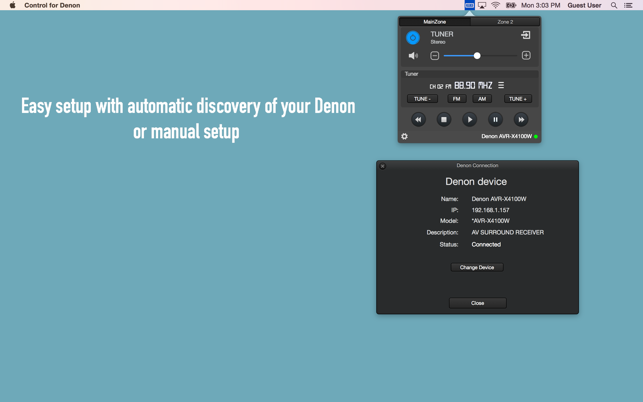 Please set "Network Standby / IP Control / Network / Network Control" to "ON / Always ON" in your Denon product via the system setup menu to use this app. I just upgraded from a Denon AVR-3808CI to an AVR-X3300W and was disappointed with the web interface. I sit at my Mac with the TV (integrated home theater) on and used to just use the browser to do simple things like change the volume. The new generation web ui from Denon is horrible and impossible to manipulate the volume quickly and lags so much that its constant overshoot (only has + and - buttons - lots o clicking). 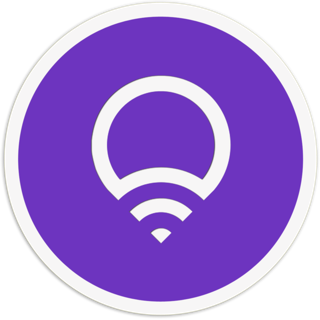 While this could be more featured, it does exactly what it does very well and if it adds more features, I hope the simplicity of the primary interface remains). 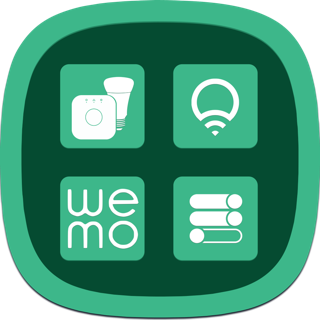 Simple little app, does what it says. 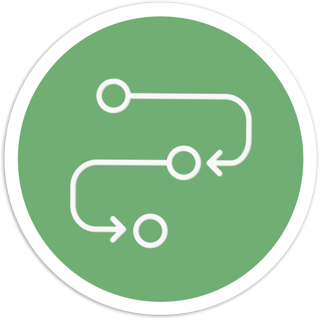 Connects to Marantz AVRs as well as Denon because they are the same company these days. 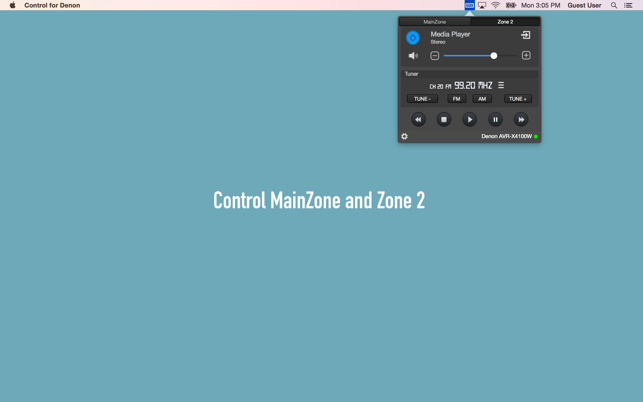 Controls Zone 1 and 2 volume and source select. 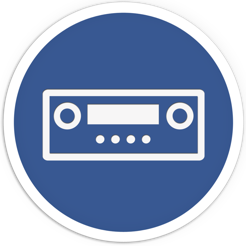 Basic playback controls and radio tuner controls too. 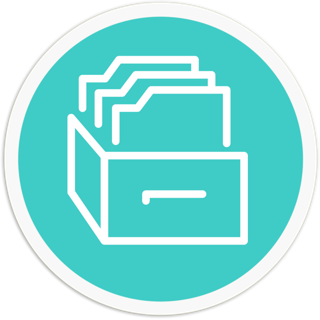 Clean UI. Well worth 3 bucks.